If you are looking for moving services that will remove the stress out of shifting from one place to another, then you are in the right place. We offer moving services at affordable prices. You must admit that moving is not a rosy affair. You have a lot to do in a relatively short span of time. The thing is that, you will always feel short of time because you cannot clean out every unnecessary thing, keep everything that is needed, pack, haul, unload, unpack and arrange your new home. This is a lot for one person to handle. Moving is always easier when you have friends to help. However, people are not always reliable and you might find that you end up doing most of the heavy lifting alone. The best solution to this conundrum is to get a moving company like ours. You can then sit back and enjoy your move as we handle everything. Residential relocation is one of the hardest moves. This is especially true if you have a family, that is, children. You have to keep everything in order so that all the people living in the home can fit I immediately you get into your new house. This is an especially challenging task for those with children. The whole process can be a rollercoaster if you do not strategize from the beginning. The one foolproof plan is to get a professional mover. This way, once you get to the other home, everything can be placed right back in the original position on the same day. It will be like you never moved in the first place. These services are available for short distance moves and those that are long distance such as interstate. Moving offices can be an equally daunting task. It gets more difficult the more employees you have. Unlike with a home, you have to move strategically, create a suitable working environment first before the employees can move to the new offices. If you do not make this provision, it is very easy for people to end up stranded not knowing where to sit or not having the necessary tools of work such as computers. This can become easier with our services. We will help you move at the hour that is most convenient for you. Everything is packed in the correct order and clearly labeled. It is then moved to the new premises and unpacked in the same manner so that working stations and all tools your employees need for work are present. This is all done in a short period of time. This way, the office keeps running and is not disrupted by the move. Sometimes you may not need moving services but need to pick or drop off new furniture. In this case, you would also need a hauling truck to deliver your furniture. We offer these services at an affordable fee. In addition to that, we provide storage for some items for different periods of time. This will all depend on what you want to store and how long you need to store it before you can move it to another place. This is especially beneficial for those who do not have enough storage in their homes or offices. Our team of experts is meticulous in everything that we do. When it comes to moving, we take care of all your possessions. We ensure that the breakable things remain intact through packing all the way to arranging them in the new home. All your furniture is also intact, without any bumps, scratches or breakages. We know how important your things are to you so we take care of them to the best of our ability. We have been providing moving services for a long time now. The advantage of this is that we have dealt with various scenarios whether it involves moving an entire office or just a home. We have interacted with the various eventualities that come about while moving which ultimately helps us to be quick on our feet, coming up with innovative solutions and avoiding any problems. This can only be learnt through experience. Moving can take a long time if you are not organized. When we come in to help you move, we ensure that the move takes the shortest amount of time. This is not to say that we rush things. It only points to the fact that we are efficient. 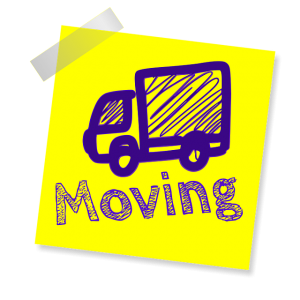 You can move to your new home in the shortest amount of time possible while ensuring that all your things are intact once they get to the new house or apartment. When you are picking a moving service, it is best to have one that provides various services. This way, you can use just one mover whenever you have different needs. 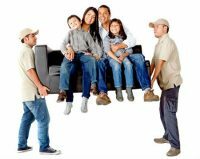 Whether you are moving your family or your office for a short or a long distance, you can rest assured that we offer all these services. This versatility allows you to find various moving services all under one roof. Our team of experts offers various moving services that you can choose from. This will ultimately be determined by the needs that you have as well. We offer affordable rates for our services and you can therefore get high quality services without denting your pocket. At the end of it all, you can never really put a price on the stress you will have avoided, the damages you will have saved your possessions from and the convenience of having someone rearrange everything in your new home so you do not have to do it yourself. One of the best Toledo moving companies I know. Very good customer service, they dont try to upsell unnecessary things, and the owner himself talks to you on the phone, and takes care of you. 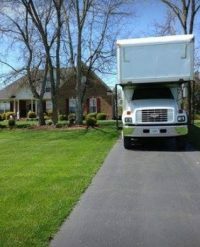 Definitely the best moving company in Toledo area. Moving Company Toledo Ohio is located in Toledo Ohio in Palmetto Ave,.Toledo is a city in and the county seat of Lucas County, Ohio, United States. The population of Toledo as of the 2010 Census was 287,208, making it the 71st-largest city in the United States. There are very few minor league baseball teams in the country you could call famous, but the Toledo Mud Hens are one of them. Toledo is known as the Glass City because of its long history of glass manufacturing, including windows, bottles, windshields, construction materials, and glass art, of which the Toledo Museum of Art has a large collection Moving Company Toledo to a moving services that will remove the stress out of shifting from one place to another. There are a couple thing’s for you to do in Toledo Ohio wherein you can spend time with your kids. You can check on Toledo Museum of Art, Imagination Station Toledo, Toledo Botanical Garden Board Inc and also Imagination Station Toledo. You can also check the Toledo National Museum of the Great Lakes and Queen of the Most Holy Rosary Cathedral, Toledo. Driving Directions from University of Toledo to Moving Company Toledo Ohio: Take W Rocket Dr to W Bancroft St then head north on W Rocket Dr toward Towerview Blvd W and turn right to stay on W Rocket Dr then turn left onto Campus Rd and another turn right onto W Bancroft St and just continue on Ottawa Pkwy. Take S Cove Blvd to Palmetto Ave. Turn left onto Ottawa Pkwy then continue onto Ottawa Dr a slight left onto S Cove Blvd then turn right onto Thatcher Dr then turn left to stay on Thatcher Dr and turn right onto Ayers Ave and another turn right onto Palmetto Ave you should get to Moving Company Toledo Ohio in Toledo Ohio on your left side. Driving Directions from Toledo Express Airport to Moving Company Toledo Ohio: Get on I-475 N/US-23 N in Springfield Township from OH-2 E and head northeast on W Airport Service Rd toward Terminal Pw/Toledo Express Airport then continue straight onto Whitehouse Spencer Rd then turn right onto OH-2 E and slight right to merge onto I-475 N/US-23 Ntoward Ann Arbor then follow I-475 N to ProMedica Pkwy in Toledo. Take exit 19 from I-475 E. Merge onto I-475 N/US-23 N and keep right at the fork to continue on I-475 E, follow signs for Toledo then take exit 19 toward ProMedica Pkwy and take Central Ave to Palmetto Ave. Turn right onto ProMedica Pkwy then turn left onto Central Ave and turn right onto Auburn Ave then turn left onto Palmetto Ave you should get to Moving Company Toledo Ohio in Toledo Ohio on your left side. Copyright 2017 MoversToledo.net | All Rights Reserved.